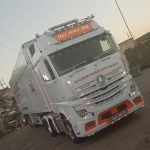 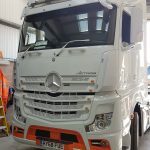 Latest addition to the D&L growing fleet is the amazing looking Mercedes Benz Actros 2553LS (GigaSpace) Tractor Unit. 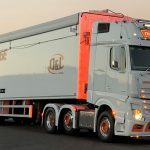 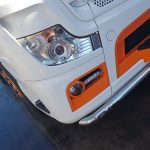 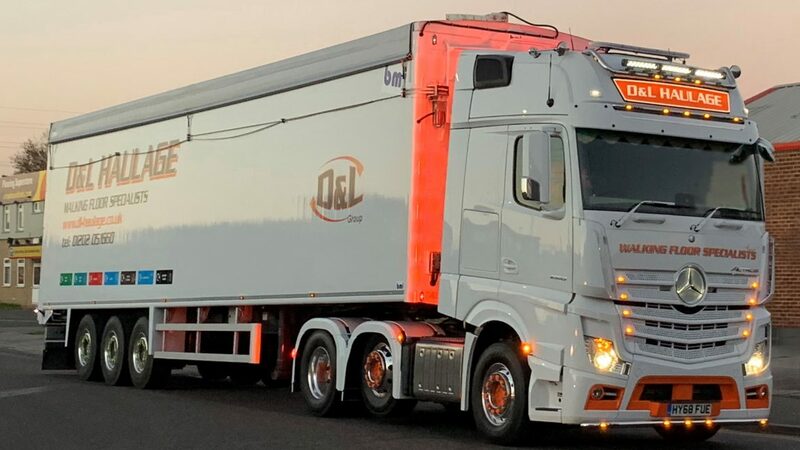 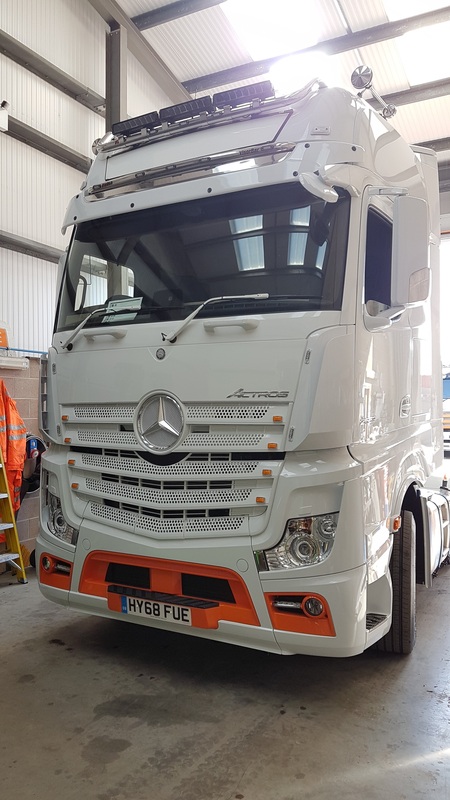 This amazing looking Tractor Unit is finished in artic white colour coded paintwork with stand out orange accents and proud D&L graphics. 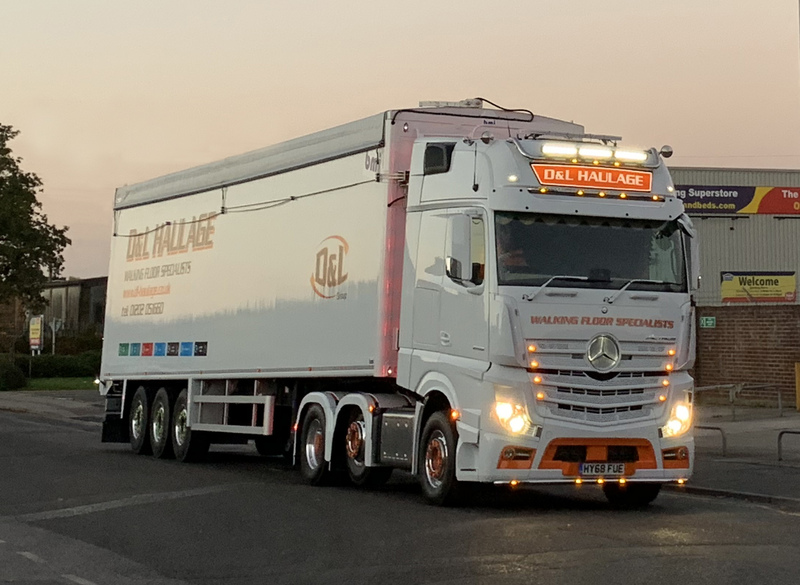 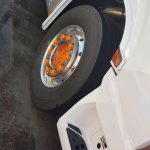 The state of the art Mercedes Benz Unit comes fitted with front mounted Kelsa low bar, visor bar, high bar, xenon headlights, lazer led spotlights and factory mounted air horns. 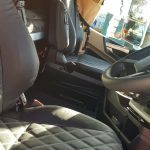 The styleline interior is complemented with a comfort pack, massage leather quilted seats, banging mosconi sound system sat on air ride suspension. 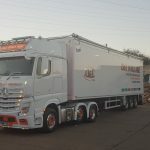 The unit has a brand new state of the art lightweight BMI 130 cubic yard Walking Floor Trailer with automated sheeting system powered by a meller hydraulic pack. 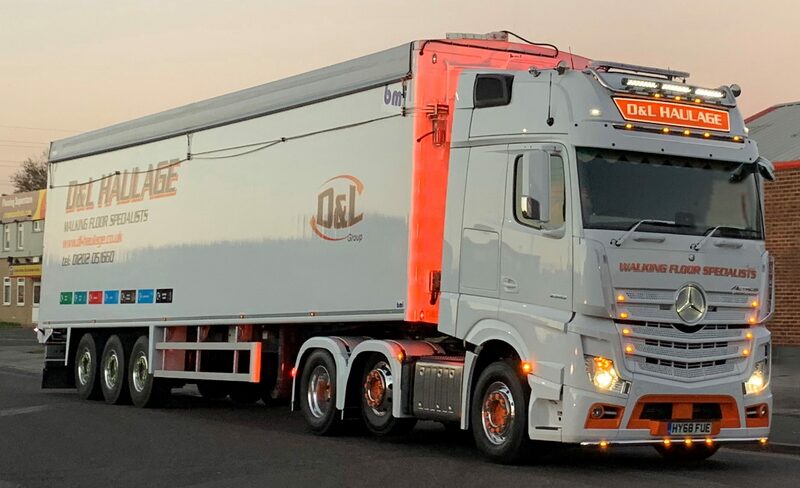 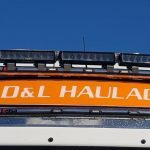 Dave Thumwood has waited very patiently for this truck to arrive and is over the moon with the results and is great timing with the company celebrating its 10th year anniversary.